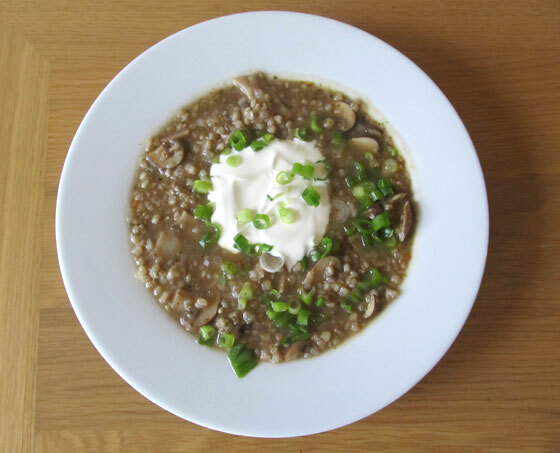 This is another recipe which I got an idea for during my last visit in Slovenia. In Slovenia, having a soup as a starter is more common than in the UK. Also when it’s hot, Slovenians love having their soups. 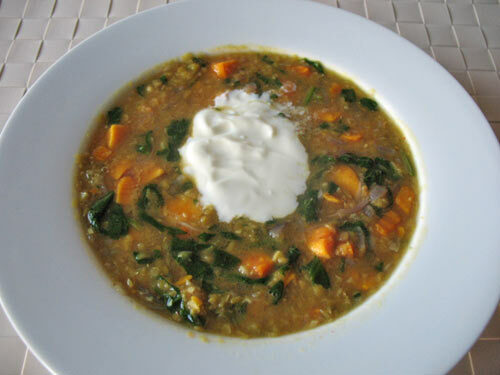 This type of soups are quite light and mostly vegetable-based since they are not the main course. 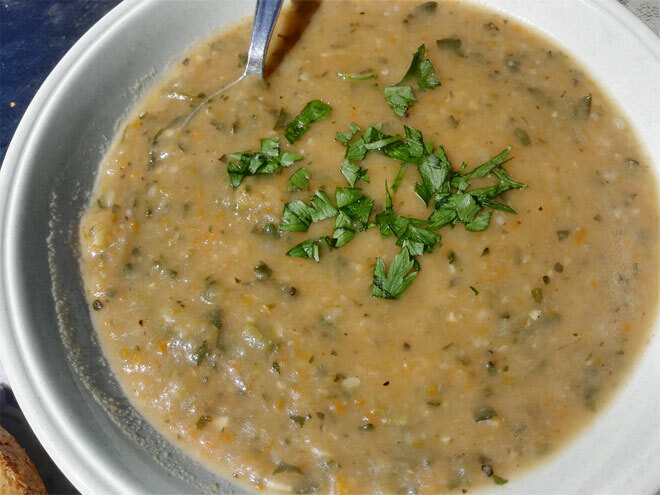 When eating lunch one day in one of Slovenian’s ‘gostilna’ (a type of restaurant), the first course served was a lovely courgette soup which was really tasty and from what I could tell, the main ingredients were courgettes, carrots, parsley and maybe some potatoes. I decided to make this kind of soup at home, probably not exactly the same but similar. When I make a soup I like to make a big pot of it, just so that I can have it the next day as well. This recipe is enough for at least 4 people but you can easily freeze it if you don’t want to eat it all at once. Make it once and have it multiple times over time, right? Well, at least this is my philosophy which makes things a little bit easier and saves loads of time. For this soup I used my new blender or I should rather say, multi-purpose food processor from Andrew James. I really love my new kitchen toy – it has a pulse function which allows me to blend something really quickly but it still leaves bits in it. The blending jug has a capacity of 1.8 litre which makes it perfect for blending large quantities of soup so it’s really perfect for me as I always make a soup for at least 4 people. It’s currently on offer here, if you are interested. Filling vegetarian soup great for lunch at work or as a starter. Prepare all the vegetables first: peel the potatoes and cut them into small cubes, the same with carrot and courgettes. Slice a big onion and chop the garlic. Heat up some rapeseed oil in a big saucepan and add sliced onion. Fry gently on a medium heat until soft. If it's sticking and feels dry, add more rapeseed oil. Once the onion has softened, add chopped garlic and leave it on a heat for a little while, just to release the flavour. Add the hard vegetables to the saucepan first (potatoes and carrots) followed by 1/2 litre water or vegetable stock (I add vegetable stock powder directly to water). Also add bay leaves and marjoram at the same time. Cover and simmer for at least 5 minutes and then add chopped courgettes. Add another 1/2 litre water. Cook until all the vegetables have softened (another 10 minutes or so) but add a bunch of chopped parsley about 5 minutes before the soup is cooked. This adds a nice parsley flavour to the soup but it's not overwhelming. Taste the finished soup and add pepper and salt if required. Leave it to cool down before quickly blending with a blender of your choice. Alternatively, you could skip this step and eat it just like that. Serve with some chopped parsley on top and a crunchy brown bread roll. If you feel the soup is too thick you can add some more water. 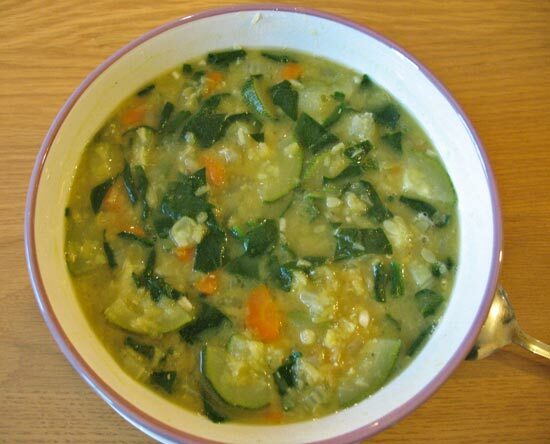 You can make this courgette soup more substantial my adding peas, barley, brown rice or simply some beans. Lush! I’m reading this because we are getting lots of courgettes at the moment. I will try this. #brillblogposts. It’s a lovely soup, I hope you like it as much as I do. Good to hear, I hope you like it! 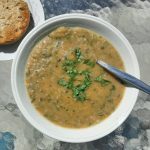 Courgettes are lovely in the soup and now is the season so perfect time to use them for that purpose. That looks like one fabulous soup and I love the flavourings you added. Thanks for submitting it to Meat Free Mondays this week, the roundup is now live and I featured your recipe. 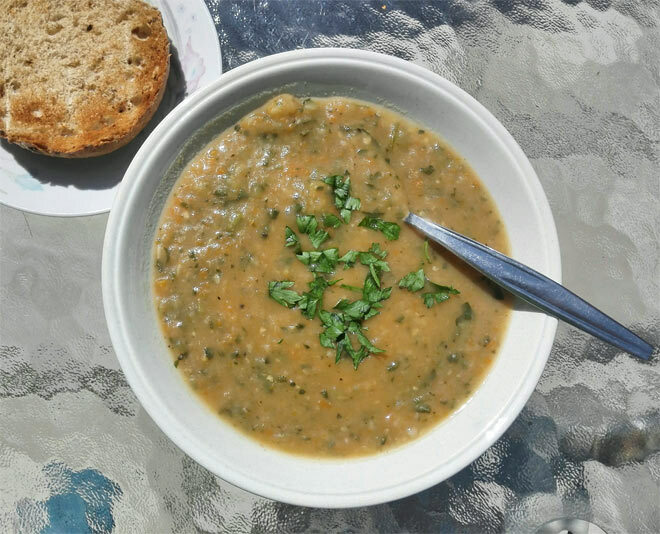 Good to hear you like the soup Jac and thanks for featuring my recipe on your blog! There is something so satisfying about soup. Yes, especially when it’s cold outside!